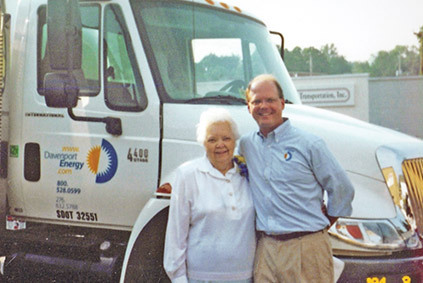 Founded in 1941 in Chatham, Va., Davenport Energy is a family-owned company started by the late Ben J. Davenport Sr.
Mr. Davenport worked hard to build the business, first as a distributor for Crown Central Petroleum Company and later Atlantic Refining. Chatham Oil Company, as the company was known in its early years, delivered fuel and petroleum products to small mom-and-pop service stations, tobacco farmers, and homes throughout Pittsylvania County. Mr. Davenport’s word was his bond, and he believed that a promise made was a debt unpaid. 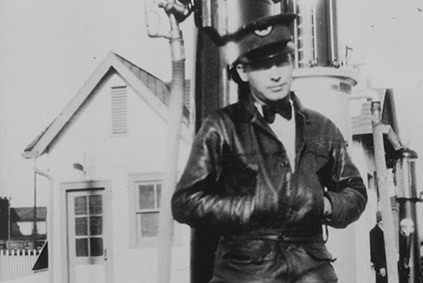 Businesses and residents quickly recognized him as a person of good character and man to trust, and it wasn’t long before Chatham Oil Company began to grow — one customer, one tank, and one delivery at a time. 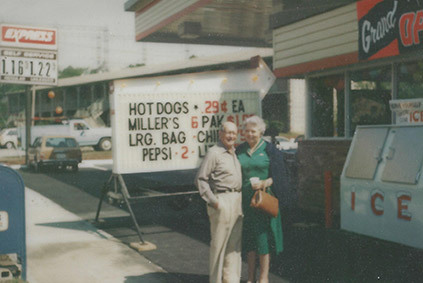 Through the years, Mr. Davenport’s wife, Lois, worked by his side, and remained an integral part of the company into her 90s. Even after the company switched to computers, she continued keeping the books and making sure pricing was done correctly on delivery tickets. She was kind and generous beyond measure; if someone couldn’t pay their oil bill, she’d tell the driver to bring her the ticket and pay it out of her own pocket. The company remains a family business today. Ben Davenport Jr. serves as chairman, and his nephew, Lewis E. Wall Jr., is president and chief executive officer. The company employs approximately 150 people. 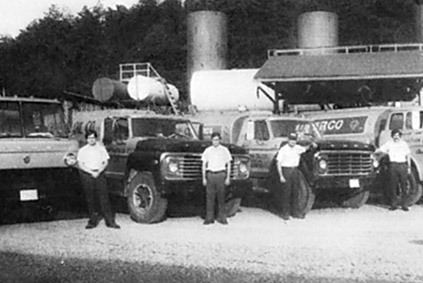 Chatham Oil Company’s first major expansion came in the 1970s with the purchase of Davis Oil Company in Martinsville, a pivotal acquisition that positioned the company to become a regional energy supplier. Chatham Oil Company ventured into the burgeoning propane business in the 1980s with the purchase of its first bobtail and construction of an LP bulk plant in Chatham. The company also began building and operating Express Mart convenience stores. The popular convenience store chain grew to approximately 30 stores before it was sold in 1998. After that came Davenport’s new, upscale convenience stores in Charlotte, N.C., that were sold to Exxon in 2001. Meanwhile, Chatham Oil Company continued to expand in the propane and fuel oil business with a major acquisition of U.S. Oil-Cox Oil and Gas Company in South Boston and Halifax County in 1999. Other strategic additions and mergers through the years included Hub Oil Company, Workman Oil, J.C. Nichols, Premier Propane, Suburban Propane (Danville and South Boston), Maddox Oil, Central Oil Co., APB Whiting (Roanoke and Covington), Lester Penn Oil Coal and Oil, and Abercrombie Oil Company. In 2003, Chatham Oil Company changed its name to Davenport Energy to better reflect its regional footprint, which now includes offices in Chatham, Danville, Gretna, Roanoke, Rocky Mount, Martinsville, Bedford, South Boston, and Covington in Virginia and Greensboro and Siler City in North Carolina. As a company, Davenport Energy believes that that are many ways to operate a business, but only one correct way — treating people as we want to be treated, and being true to our commitments while never compromising our values. These are our rules of conduct and creed of ethics. As we embark on our future, Davenport Energy will continue to embrace our rich past and hold true these virtues. Our name represents our regional operations and better explains to our customers what we do. We sell energy — fuel oil, propane, and gasoline. Down the road, it might be natural gas, electricity, or even hydrogen; the opportunities are only limited by our imagination. More importantly, we sell service. Who will our customers trust with their heating and fueling needs to their homes and businesses? We hope it will be a company they have counted on for more than 75 years — Davenport Energy.